Every one would know about Google Glass. Are you in a plan of buying it? Well! Think of GlassUp too, which is also a virtual reality eyeglass for daily usage. GlassUp is an augmented virtual reality eyeglass which displays notifications, emails, text messages, directions, tweets, Facebook updates, RSS, Foursquare check ins, heartbeats, stock markets details and many more. 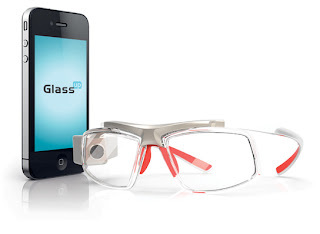 GlassUp is currently under the crowd-funding stage in Indiegogo, a crowd-funding platform. The project has already raised $85,000 USD of the pledged goal of $150,000 USD. GlassUp connects with Bluetooth enabled devices through an application and that application can report details like notifications, email etc back to GlassUp. The information is projected and displayed in transparent background of the lens and therefore we don’t feel uncomfortable to the see the real world. GlassUp projects and displays the content in green color for better viewing experience for the user. What does GlassUp projects for you? If the funding goes successful, the base version of Glassup will be available for €299 with one year warranty. Currently Android, iOS and Windows devices.